My art captures the exciting colours and forms present in a local scene, in an expressive and abstracted manner. It is a genuine response to the natural settings I find myself in, as well as emotions felt deep within. I try to grasp an essence of the place capturing what I feel is ‘the visual music of the landscape.’ Each movement of the brush becomes a colourful note or chord which plays out the scene. Painting the landscape, even in abstracted interpretations, enlightens and challenges me to find new ways to observe and treasure it. Jane Appleby is a prolific and intuitive painter who paints with the vigor of her love of life. Inspired by the Canadian landscape, Jane often paints outdoors in the plein air tradition of the Canadian Group of Seven. 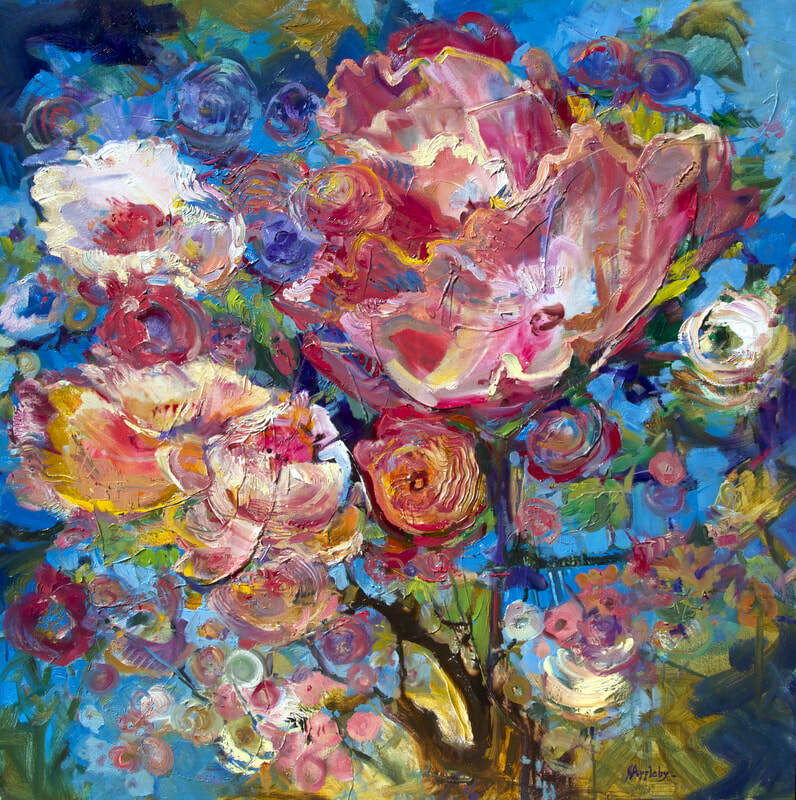 Her impressionistic and colourful paintings have also been described as ‘Emily Carr meets Gauguin’, both spiritual in nature and colourfully unique. Initially a self-taught artist, Jane completed her studies in fine art at Emily Carr University. She currently resides in Burnaby with her husband, children, and pets. She enjoys quality time in nature as much as possible, including mountain hikes, kayaking, and skiing. ​Jane is an active member of the Federation of Canadian Artists and serves on the Gallery Committee at Port Moody Arts Centre. Her favourite mediums are acrylic and oil.